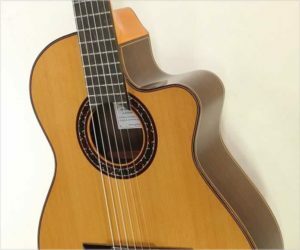 The Ramirez Cut 2 Cut awayguitar offers superior high-quality woods, quite balanced among its tonal range with high stability on its third string. It stands out due to its comfort and how easy it is to change and play with the timbre. Rich in overtones.